Posted November 18, 2018 at 7:51 pm . 0 comments. 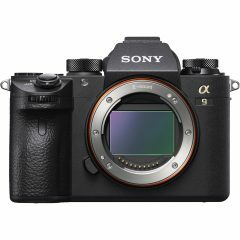 Authorized Sony dealers kicked off some very impressive savings on the Alpha a9, Alpha a7R III and Alpha a7R II. The prices have dropped $1000 on the a9 and $400 each on the a7R III and II. Additionally, some dealers like B&H are bundling free hard drives and/or bags with the camera. Check out the lowest prices seen yet for these fantastic cameras.